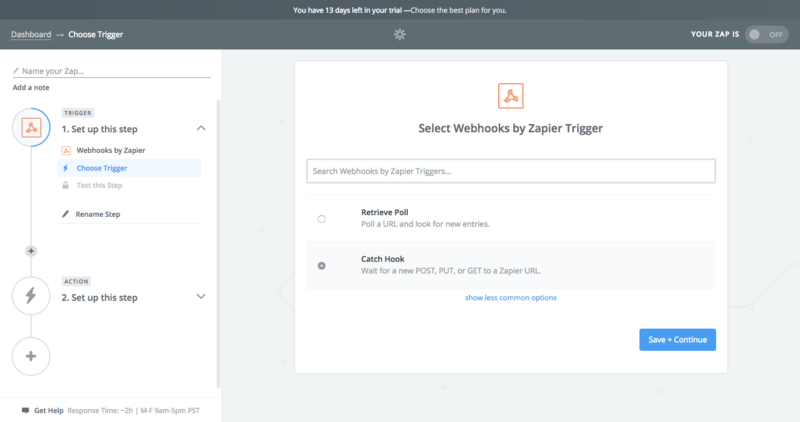 Webhooks mechanism can be used to tap into thousands of integrations offered by Zapier. 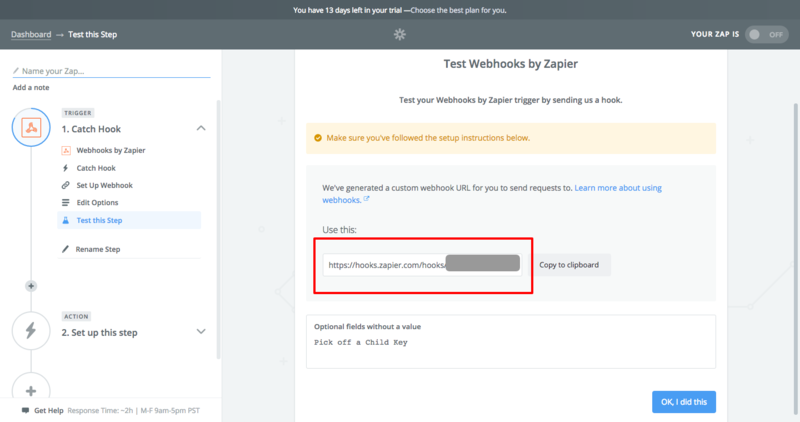 This tutorial shows how to create your first coupon Zap in 5 minutes. As an example, we're going to send a Slack notification about a failed coupon redemption. 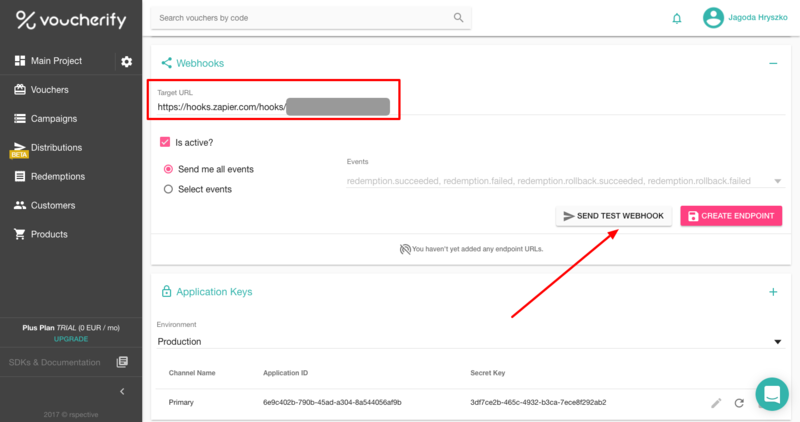 Continue to get your webhook URL. Then, confirm the form so that the trigger is activated. Now Zapier will be waiting for a request from Voucherify. In Voucherify, go to the project settings view and paste your link to *Target URL*. You can send a test callout. Once done, you can select any action available in Zapier to be activated with this callout. 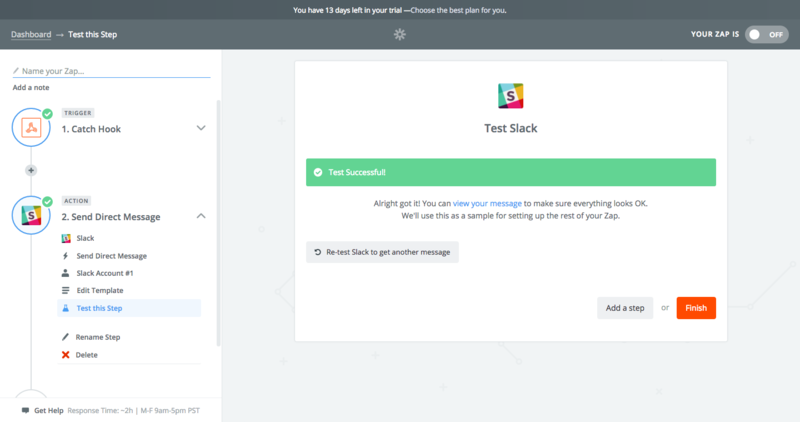 The picture below shows the example of a Slack integration. That's it! 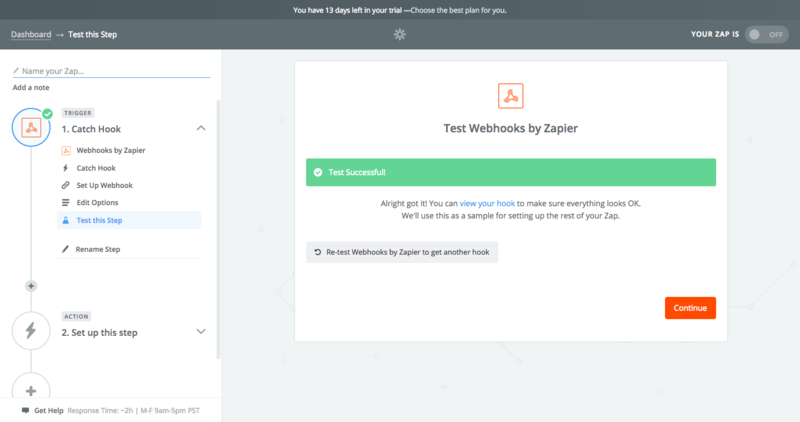 You can now create more Zaps and inject coupon into other business tools you work with.